By the time this publishes, I’ll be on my way to Costa Rica’s Juan Santamaría International Airport for the last time in the foreseeable future. My flight out of the country marks the official end of nine-and-a-half months of living in Central America. This felt like something I should acknowledge, yet I’m struggling to find anything poignant to say. And writing something even remotely interesting becomes exponentially difficult whenever you force yourself to sit down, because it’s “writing time!” That’s essentially what I’m doing as I take a break from emptying my apartment, running my clothes through the laundry machine one last time, and trying to find any excuse I can to stay just a little longer. The ironic thing is that I had started feeling ready to move on. Having traveled extensively throughout the country, I felt I had done Costa Rica. Then as my flight started to near, I found myself craving just one more month or even one more week, savoring every last rice and bean on my plate. Obviously that says something about the impact Costa Rica and Central America in general has had on me. It really does feel like I’m leaving a home. Rather than forcing it, I’ll keep this short*. I guess the thing I would want any readers to walk away with from this admittedly contrived post is how one should visit Costa Rica. If all-inclusive beach resorts are your thing, that’s great. But I would strongly suggest to at least devote a night or two to a place slightly removed from the Costa Rican tourism map. The Orosi Valley comes to mind with its cool, misty days that stretch into the evening, reminding me of April in Northern Ireland. 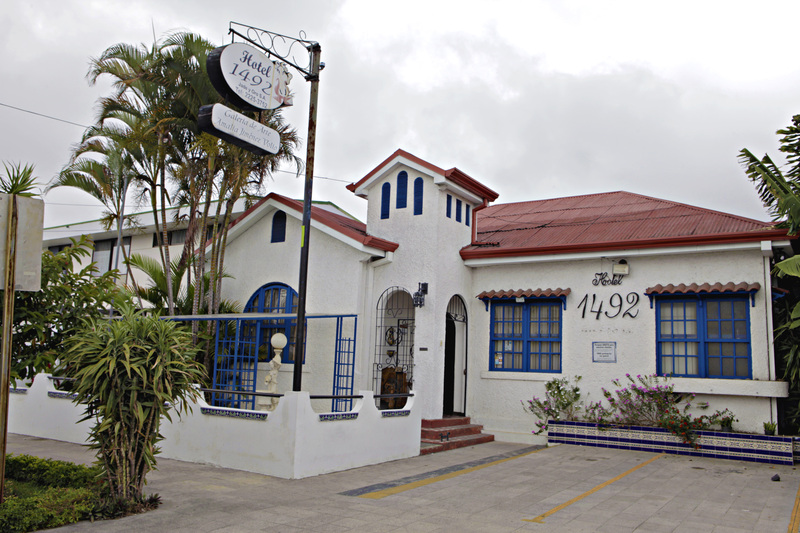 Hotel 1492 in Barrio Escalante. Chepe — capital San José’s local nickname — is also more than worth a day trip despite the guidebooks giving it a nearly universal generalization that it’s dangerous and smart to avoid. I don’t think anyone would claim it’s the world’s most beautiful city, but they do have one of the most impressive urban parks I’ve ever seen in La Sabana, a great bicycle advocacy group in ChepeCletas that offers great two-wheeled tours of the city, and a tasty organic market with live music that’s an easy jaunt from either Barrio Amón or Barrio Escalante — two of the more vibrant and aesthetically interesting neighborhoods in Chepe. Finally, I’d give a pitch for mi pueblito of Ciudad Colón, just 22 kilometers west of Chepe. When I first came here in August, there wasn’t a drop of tourism. Only over the past nine months did a German hotel finally open up shop. I know this because it explains the sharp increase of tall, thin, broad-shouldered individuals marching down my street on weekend mornings with blonde hair only previously seen on Simpsons characters. Farmers market in Ciudad Colón. My only surprise is that it took this long for a proper hotel to come into Ciudad Colón. Saturday mornings start with a vibrant farmers market that proved to be my introduction to the wonderful world of Costa Rican fruits. The town center itself is what town centers around the world should be. There are places for kids to play, a volleyball court for the obvious as well as beach soccer, and a roller skate track around a concrete soccer pitch that doubles as a basketball court. Trees line the exterior with the red, white, and blue stripes of the Costa Rican flag painted on the side. This is an incredibly walkable town. Then up the road — and I do literally mean up — about six kilometers is the hillside town of El Rodeo with the United Nations-mandated University For Peace graduate school and no shortage of hiking trails that are best explored with the local environmentalist who loves nothing more than to show off what’s important to protect. On the way back down from Rodeo, there’s also Los Senderos de Colón, a massive mountain bike/hiking ground that opened during my time here and is actively developing additional trails. In Ciudad Colón, I got more of a taste of Costa Rican life and culture than anywhere else I traveled in country all the while still getting my fix of the natural beauty and hiking that proves to be the region’s biggest selling point. If you’re thinking of visiting Costa Rica, I strongly recommend a night or two here. I guess that’s that. Now I’m off to North Dakota where I’ll be presenting at the 2015 Bloggers & Writers Workshop in Bismarck. Then it’s off to Cleveland for a week, Germany for another week, writing a couple of guidebooks in Minneapolis – St. Paul for Falcon Guides, some other Stateside work, hopefully an opportunity to do some work in Senegal will come through, and that will all take me through November. All that aside, I still have a frightening amount of videos from Costa Rica to edit and write about, and I’m hoping to turn the nearly 10 months abroad into a travelogue. I’ll of course let you know when you can throw money at me in exchange for my words, probably through another wildly successful book trailer. Will I do it all without my head imploding? Vamos a ver. So long, Costa Rica. And thanks for all the beans. *Unsurprisingly, I failed to keep it short. Is Volunteer Tourism Good, Bar, Or…? Bon voyage and best of luck on all your new adventures!